Reader David Hutchinson asked me about this word, which he had encountered in a well-known story by H P Lovecraft, The Call of Cthulhu, which appeared in Weird Tales in February 1928: “After vigintillions of years great Cthulhu was loose again, and ravening for delight.” Was this perhaps a creation by Lovecraft or a real word with some history? It’s rather rare but vigintillion is real enough, though its meaning has been disputed. Some old references explain it as 10 followed by 120 zeros (10120) but modern ones as 10 followed by a mere 63 zeros (1063). This gross disparity in definition of a number that by any measure is awesomely huge (the universe is estimated to contain about 1023 stars) is the result of different French and English methods of naming big numbers. These names of periods of figures, derived from the Latin numerals, may be continued without end. They are as follows, for twenty periods, viz. Units, Millions, Billions, Trillions, Quatrillions, Quintillions, Sextillions, Septillions, Octillions, Nonillions, Decillions, Undecillions, Duodecillions, Tredecillions, Quatuordecillions, Quindecillions, Sexdecillions, Septendecillions, Octodecillions, Novemdecillions, Vigintillions. Pike had sensibly ended his list at duodecillions and to extend it was surely otiose. Successors and imitators perpetuated Dewey’s version of this utterly useless catalogue, few of whose members have ever been encountered in print other than as part of this list. Well when a boy we learned the numeration table as far as vigintillions by the English method, and it is well we did, for nothing short of this would tell of the corn crop this fall. Freeport North West (Freeport, Illinois), 14 Sep. 1865. To be sure, there are some official names for bigger numbers [than trillions], but they are about as familiar as the names of extinct dinosaurs: quadrillion, octillion, vigintillion, brontosillion, triceratillion and so on. We are simply not familiar with them, since they died off a dinosillion years ago. Let that be their epitaph. Hingle, an English dialect word that I suspect is now hardly known, appeared recently in a book by a father-and-son pair of poachers. In the language of their occupation, a hingle is a snare with which to catch a hare or rabbit. It’s essentially a bent twig or loop of wire. At root, hingle means a hinge and the word has also been used in dialect in that sense; it can be traced to the Old English hengle that’s also the origin of hinge. 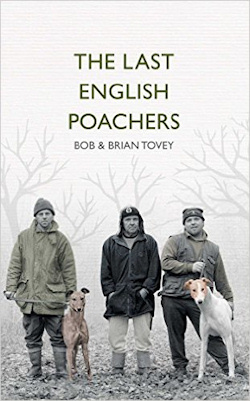 It’s perhaps not so surprising that the word has survived but the two poachers who wrote the book are from Gloucestershire, well outside the historical area in which the term has been recorded. A review of The Last Bookaneer by Matthew Pearl produced a word new to me, one with an intriguing history. 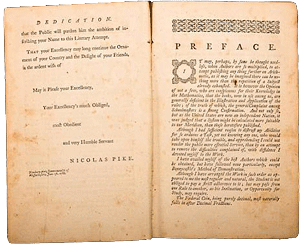 His title term refers to literary thieves of the nineteenth century who exploited the lack of international copyright agreements to publish counterfeit editions in foreign countries. These buccaneers of the book trade were especially prevalent in the USA, reproducing new works by popular British authors such as Charles Dickens without bothering to pay for the privilege. Matthew Pearl writes in The Last Bookaneer: “Bookaneers would not describe themselves as thieves, but they would resort to almost any means to profit from an unprotected book.” Dickens had a very public battle with piratical American periodicals and satirised their activities in Martin Chuzzlewit, the serial parts of which were reprinted in the very publications he was lambasting. No sooner is a literary venture of Bulwer, Thackeray, or Dickens afloat, than a whole baracoon of “bookaneers,” as Hood called them, rushes forth to seize it. The Metropolitan (Baltimore), March 1853. A barracoon was a rough barracks used for the temporary confinement of slaves or criminals. It’s curious that in an age when it was considered rather bad form for a serious writer to coin new words that bookaneer should have had the circulation it did. But it was of temporary popularity within a narrow field and there were few uses after the 1870s in the sense of a ruffianly publisher (though the word has had other senses since) until Matthew Pearl found it while writing a work about Dickens in 2009 and decided to focus on the pirates in his next work. A sentence in a book review in the Guardian on 13 June sent me to the Oxford English Dictionary: “FitzRoy was not the first European to establish a storm-warning system, but he coined the term ‘forecast’.” He did? The reference is to Robert FitzRoy, who captained HMS Beagle on the famous voyage to explore and survey the coast of South America with Charles Darwin. He later became an admiral. 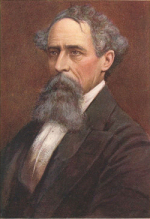 FitzRoy was an early enthusiast for meteorology who in 1854 became head of a new government department that evolved into the Meteorological Office; he produced the first forecasts of stormy weather for shipping in 1861. 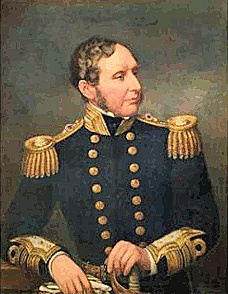 FitzRoy’s contribution to weather forecasting was marked internationally in 2002 when the shipping forecast area to the west of the Bay of Biscay known as Finisterre was renamed in his honour. Other writers similarly claim FitzRoy invented forecast but they are wrong. The Oxford English Dictionary does cite a letter he wrote to The Times in April 1862 as its first example in the sense of weather forecasting, but the noun has been recorded since at least the late seventeenth century, having been derived from the much older verb. Those that perpetuate the story presumably think in this way: Admiral FitzRoy invented the weather forecast, therefore he must also have invented the word forecast. It is probably much too late to expunge this folk etymology from the public mind. Leaves of chaos. Within the European Commission the evolving Greek financial crisis has led to insiders creating a jargon term that appeared in several places this past week: paperology. This isn’t the science or study of paper and its uses, though others have employed it in that sense, but refers to the series of economic reform proposals that the Greek government has submitted in recent weeks. It has been explained as the exchange of different discussion papers in order to seem to be demonstrating progress while actually acting as a delaying tactic. One source suggests that the term arose earlier in the crisis, in 2012. In that year, the risk that Greece may be forced to abandon the euro generated another jargon term within the EU bureaucracy: redrachmatisation. So much has been written recently about the crisis that Wall Street traders have reportedly invented Gretigue, a blend of Greek and fatigue. Downward disposal? An odd phrase appeared in a tweet on 1 July by Boris Johnson, Mayor of London and recently-elected MP. He was commenting on the 342-page report published that day by the Davies commission. After three years’ work it decided that a third runway at Heathrow Airport would be the best option for increasing air capacity in the south-east of England. Johnson opposes the enlargement of Heathrow and wrote that the report was “destined for vertical filing as 3rd r/way will never be built.” Vertical filing? Did he mean that the report is likely to languish on some dusty bookshelf or that it should be thoughtfully dropped into the nearest wastepaper basket? I have asked him but so far haven’t had a reply. Q From Margaret Lethbridge-Cejku: I came across this recently in a mystery novel set in Bath, Something in the Blood by Jean Goodhind: “She knew he was brooding. He’d lost the clock and he was pig sick about it.” I gather the character was near prostrate in his disappointment, but pig sick? Is this a common expression? When I encounter sick as a dog, I envision vomiting copiously. But pigs? Are they prone to histrionics? The context leads me to think that it’s an over-the-top but deeply felt heartache. Can you enlighten this Yankee reader? If you are pig sick of the Kardashian clan, an app called KardBlock cuts them out of your digital life. The Sun, 5 May 2015. Daily Mirror headline, 25 Jan. 2015. Sick by itself can have much the same idea of a feeling of affliction or mental unhappiness that’s powerful enough to mimic a physical ailment. It’s been used in English for about a thousand years and we have several phrases that include it, such as sick at heart (and heartsick) and the old-fashioned sick with love. A person might say “it makes me sick”, “I’m sick of it” or more fully “I’m sick and tired of it” when referring to some situation that seriously irritates. To express sadness or disappointment we have down the years been metaphorically as sick as horses, dogs, and even parrots. The pig in the expression isn’t a real animal either. Like dog, pig has long been used as what linguists call an intensifier, adding strength to an expression. Somebody may be pig-ignorant, for example. To be pig sick then is to have some adverse emotion in especially high measure. If a jay-walker is knocked down, blame the motorist; if he accidentally bumps the kerb he is driving dangerously; if his lights are too bright or too dim, he is a danger on the road; if his car is not smothered in white paint he commits an offence; if he drives over 30 m.p.h. he is a menace; if he drives under 30 m.p.h. he is impeding traffic. All these petty items are making the motorist just pig-sick. Hartlepool Mail, 16 Jan. 1942. There may be a literal source for the expression. At one time, land was said by farmers and vets to be pig sick if the animals were allowed to run on it for an extended period so that parasites built up in the soil, stopping the pigs thriving and sometimes killing them. It’s possible that early users of the expression had this agricultural usage in mind. • The East Oregonian became briefly notorious for its headline over a sports story on 6 June: “Amphibious Pitcher makes debut”. Thanks to the many people who sent that in. • Craig Osborne encountered a paradoxical sign at a parking space: “No Unauthorised Parking Without Permission”. • Thomas Mannoia read in a report on the News10 site about the fate of one of the New York prison escapees: “Richard Matt was shot and killed in the head three times”. Once is usually enough. • A headline on the Mansfield Wicked Local site in New England was spotted by Barton Bresnik: “Mansfield shoplifting suspect nabbed after chase with halted train”. Last modified: 4 July 2015.